The unique and colorful houseboat community has long been the centerpiece of life in Sausalito, and while these floating homes are well known, relatively few people know just how far back their history goes. Not a recent phenomenon, as so many assume, the houseboat community has a history stretching back to the 1880s and earlier. While houseboats once existed in nearly a dozen ports in and around San Francisco Bay and indeed throughout the West Coast the focus of this buoyant lifestyle is now the waters of Marin County, along the shoreline of Richardson's Bay. 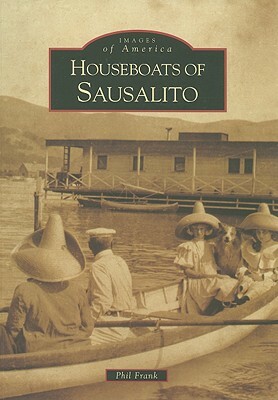 Over the years, a variety of forces including the 1906 earthquake and fire, the building of bridges and the resulting decline of the ferryboat fleet, World War II, and legal pressures on waterfront property owners helped to shape life on the water, Sausalito's houseboat community, and this fascinating tale.